In 1974, Chinese peasants digging a well in the Shaanxi province of China ran into an amazing find -- rows and rows of clay soldiers surrounding a gravesite! Known as terracotta warriors, these clay soldiers are 2200 years old. However, it is their life-like appearances that have mystified tourists and archaeologists alike and the location has been declared a UNESCO world heritage site. Then in 2007, construction workers in the Shandong province of China excavated another find. Once again, it was an army of terracotta soldiers, though this time they were smaller in size. These mini armies consisted of cavalrymen with chariots and infantrymen organized into several square formations. The army surrounded several small watchtowers in the southern part of the pit, and a pavilion of entertainers was found in the north. In 246 BC, under the first emperor of China, Qin Shi Huang, the construction of the terracotta army began. 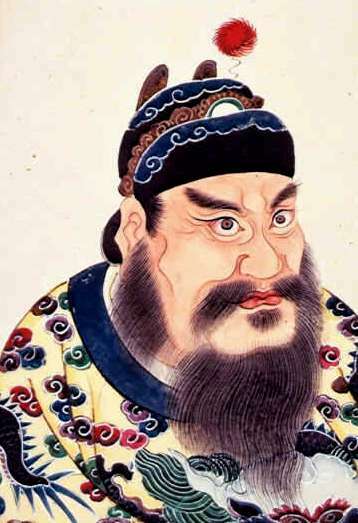 Shi Huang is remembered for his numerous achievements: unifying China (although it broke apart not long after his death), starting the construction of the Great Wall of China and the Ling Canal, burning all books not related to his reign, cremating/stoning scholars who dared to disagree with his decisions, and, of course, his clay army. The overall project took nearly 40 years and more than 700,000 workers were employed. The terracotta army was part of a larger necropolis or cemetery where the emperor planned to be buried once he passed away. Every figure was handcrafted and painted by government laborers and other craftsmen in several pieces, and then assembled together in the tomb based on their ranks. Each figure was unique - each soldier had a different expression, carried different weapons, and wore different uniforms. And the army did not include just soldiers; there were horses and chariots as well! The Qin dynasty was followed by the Han dynasty. Archaeologists believe that rulers of this period also built armies of terracotta soldiers. But the sizes of the clay models were much smaller and only 12 inches tall. This particular site was the burial location of Liu Hong, the son of Emperor Wu who died in 110 BC. All these terracotta warriors had the same purpose - they were made to be buried and accompany the emperor in the afterlife. Besides seeking protection, the emperors also desired to be entertained in their next lives which explains the presence of clay musicians, acrobats, and even a theater pavilion. Unfortunately, the tomb itself has not been found and archaeologists predict it must have been destroyed. However, as excavations continue and more secrets are revealed, these powerful men of the past are once again the talk of the town!